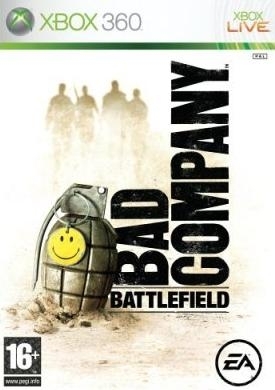 Set in the near future, the Battlefield: Bad Company single-player campaign drops gamers into a dramatic Eurasian conflict. As part of a squad of four soldiers, players risk it all to go AWOL on a personal quest, fighting their own war within the war. 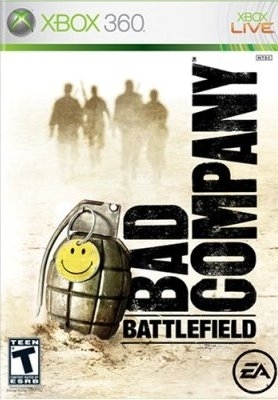 Featuring a dramatic storyline flavored with attitude, Battlefield: Bad Company leads gamers far from the traditional frontlines on a wild ride with a group of renegade soldiers who decide that sometimes the gratitude of a nation just isn't enough. 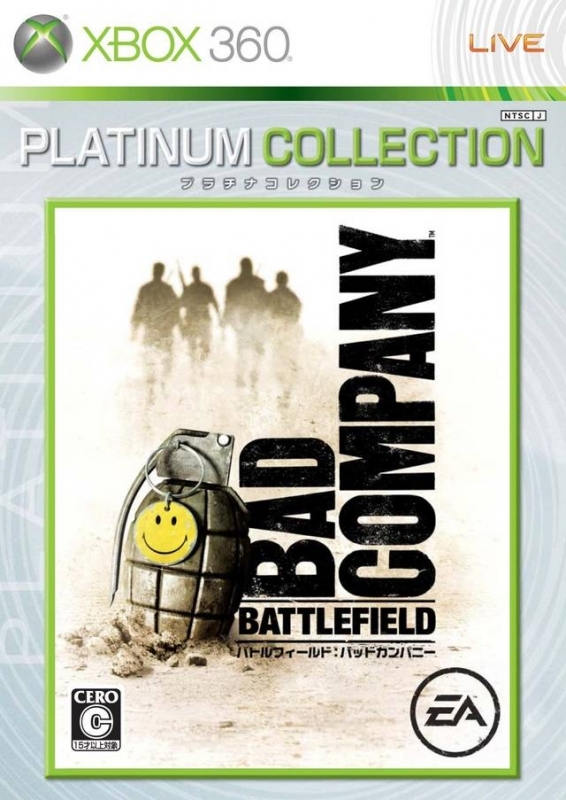 The Battlefield: Bad Company cinematic single-player experience captures the freedom and intensity of the videogame's legendary multiplayer sandbox gameplay in a dynamic world where nearly everything is destructible. 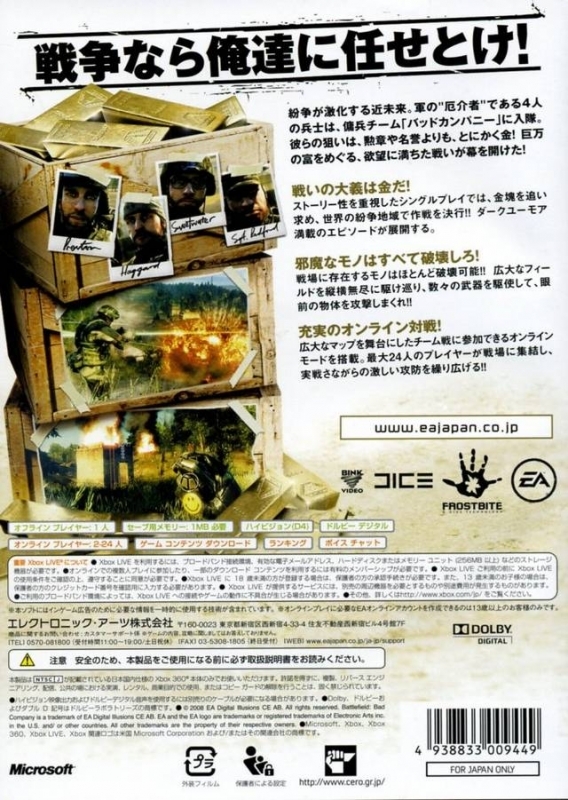 Gamers have total freedom to be daring and innovative, adapting to and tackling challenges in unexpected "Battlefield-style" ways. Create sniping positions by blowing out a piece of a wall or drive your tank straight through a small house. 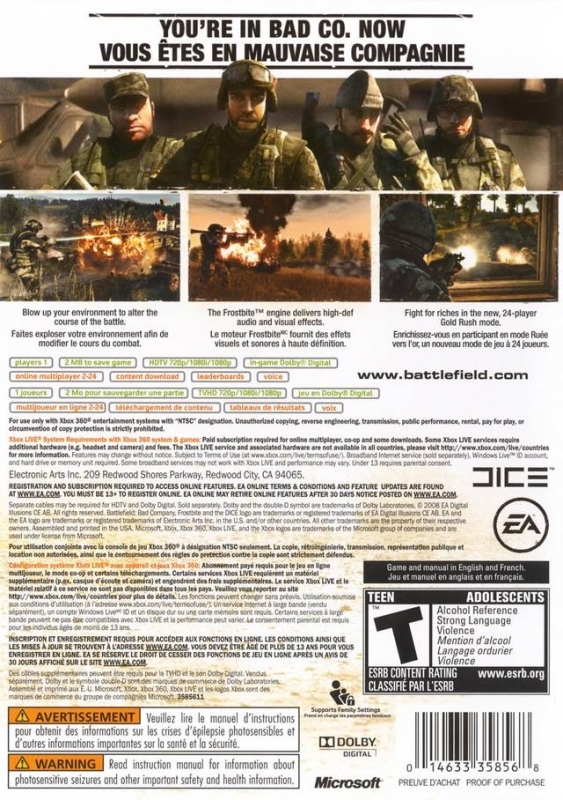 The ever-changing battlefield forces players, their teammates and enemies to react accordingly. 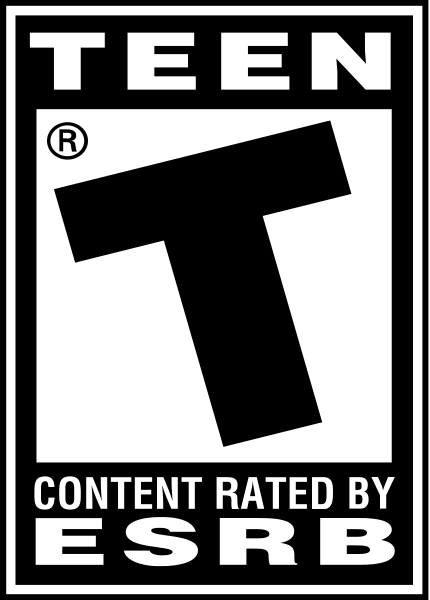 The game also features a full suite of the videogame's trademark multiplayer gameplay, supporting 24 players online. 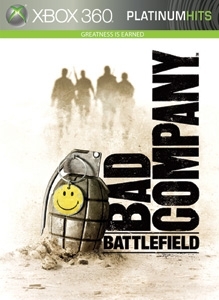 Battlefield: Bad Company is the first game built from the ground up for next-generation consoles using DICE's bleeding-edge Frostbite™ game engine, delivering unrivaled graphics, effects and gameplay. A deep campaign loaded with attitude follows a wayward band of ordinary soldiers who risk it all on a quest for personal gain. 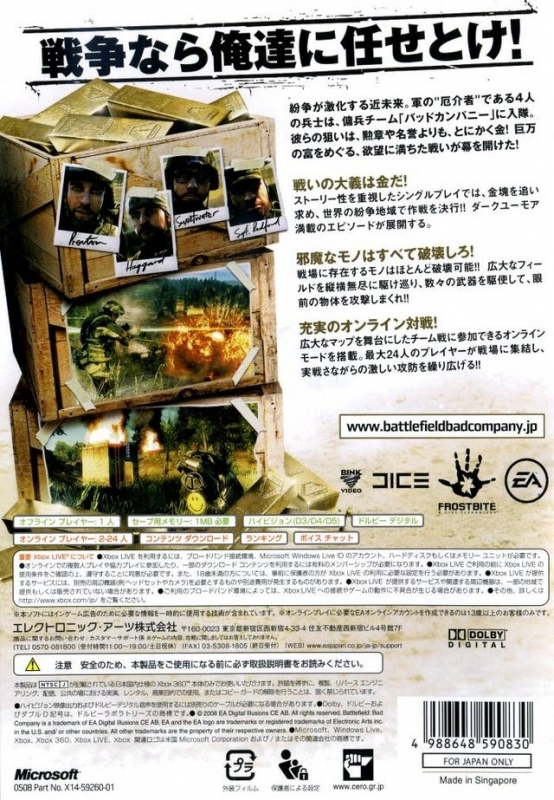 Battlefield: Bad Company environments are 90 percent destructible, meaning that any structure can be demolished down to its foundation. Gamers can shape the battlefield to match their play style - the possibilities are literally endless. Land, air or sea, dozens of new tools are waiting for explosive experimentation. 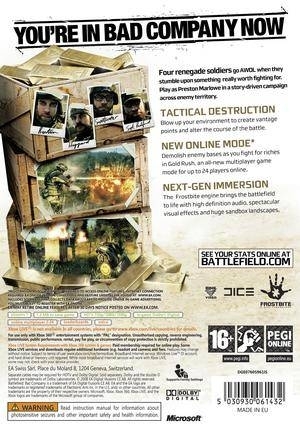 Battlefield: Bad Company gives gamers the building blocks to get creative and usher in a new era of their own "Battlefield moments"
DICE's Frostbite game engine raises the bar for next-gen gaming, with stunning HD graphics that bring characters, vehicles, and environments to life like never before. 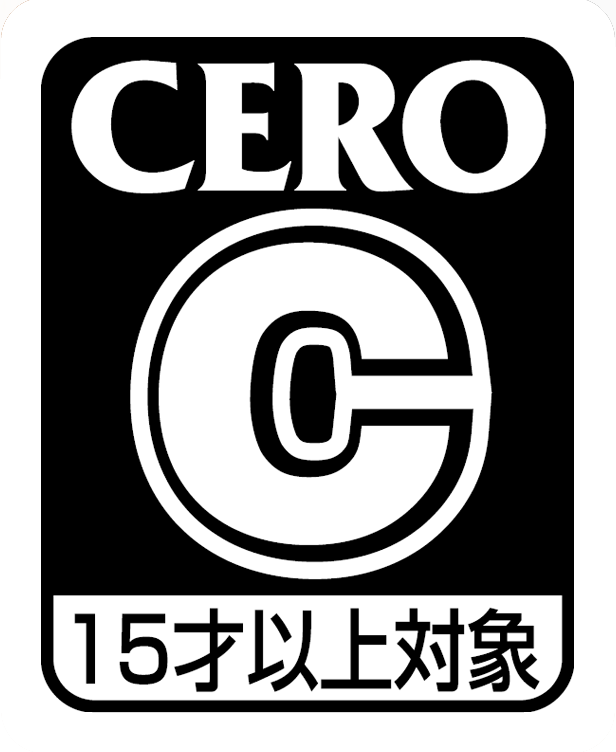 Support for 24 players online in a world designed to take full advantage of the game's massively destructible environments. DICE's attention to detail is applied to the act of firing a weapon. Dozens of subtle changes to the FPS formula add up to a vastly improved shooting experience. 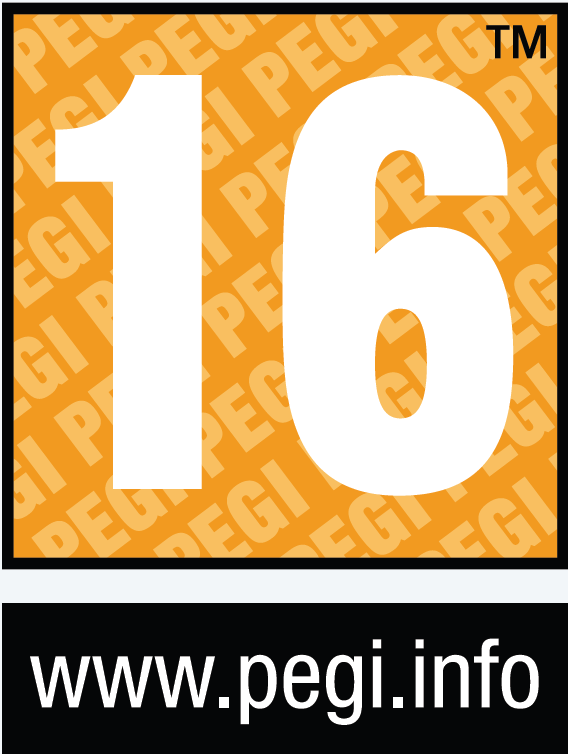 Loved the single player. Started playing multiplayer. Got pretty frustrated the first two time I played it but now I have finally eased into it. I was seriously about to think my 20 bucks was wasted but not anymore.